It has been a busy start here at First Equine Veterinary Services. We aim to serve you and your equine companion with top notch equine veterinary care. We hosted a client education seminar on Equine Dentistry in February and really appreciate your participation! Spring is here and that means longer days and more time to ride! This also means warmer temperatures and a larger mosquito population. It is critical to have your horse vaccinated especially for mosquito borne viruses including West Nile and Eastern Equine Encephalitis. The Gulfcoast is a hotbed for these terrible neurologic diseases and they can be easily prevented with vaccines. Check out the link below for a review on recommended vaccines. Spring is also peak competition time for many performance horses. Make sure your horse is moving at their best with a lameness screening. This screening includes a veterinarian watching your horse move as well as full limb flexions. Subtle lamenesses can be detected during these screenings and problems resolved before becoming serious. Are you covered for colic surgery? If not, check out Platinum Performance Colic Coverage Plan seen below. We would also like to announce that First Equine will be the official show vet for the Mississippi Riverboat Parlay Arabian Horse Show in Tunica, MS Mar 22-26 and for the Blue Angel Dressage Show in Pensacola, FL April 22-23. We will be hosting an Acupuncture client education seminar in the coming months! Stay tuned for details. We are excited to offer saddle fit services! Poor saddle fit can be a common cause of poor performance and back soreness in the horse. 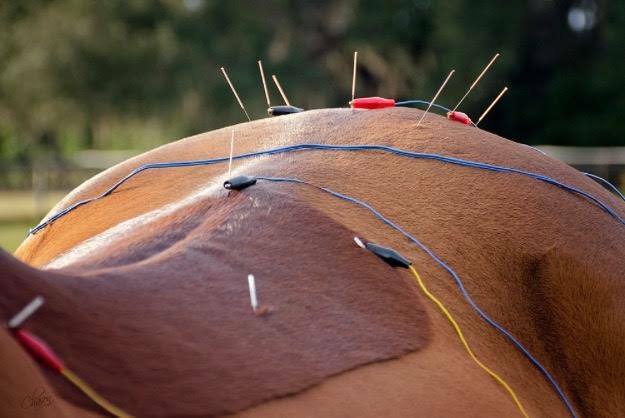 In determining the cause of back soreness it is critical to evaluate the saddle’s role. A thermography camera can detect areas of inflammation before they become warm to the touch or sensitive to palpation. Give us a call today to schedule your horse’s thermography scan.